Together with Voidwalker warlock has two of the best 1 drops in the game. 1 Mana 3/2 or 1 Mana 1/3 with taunt is just sooo good, especially with the demon tag. Interesting how things change, three years later, Chow doesn't see play in Wild Zoo at all. 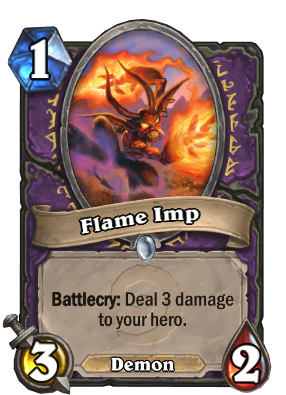 With Zoo now not only preferring the aggression but valuing the Demon Tag, Imp beats it out. yiz yiz! gu1D$hir pootman iz 10000000X bettar! I see alot of locks use/recommend this card for a build...but it's too damn risky. There are much better cards that can be used - preferably taunt cards.